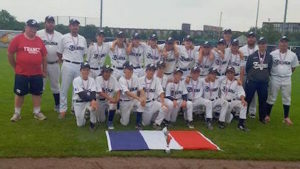 Baseball tours and baseball tournaments in France & Belgium. 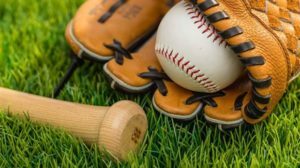 ComeOn Sport, focused in facilitating relationships between sports clubs in France, Europe and around the world is pleased to welcome several baseball teams every season in France in the Spring and also in the Autumn. 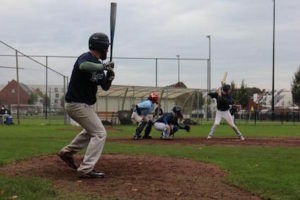 Baseball has risen up during the last 20 years in France and nowadays, over 217 baseball softball clubs are open to players and fans of this great American sport. France, is, in Europe, one of the country where this sport has the most fans and players (over 13000). In 2012, France win the European U21′ championship and since then, several French baseball players play in Europe and America. In 2018, ComeOn Sport is pleased then to promote this sport and help foreign basketball teams in coming over during a week-end or a week in order to discover the French culture and play French baseball clubs. Going on tour in France with your baseball teams is a chance to spend a fantastic week-end/week and also a superb occasion to discover the French Baseball! Providing a high standing of service and assistance, our tailor made baseball tours are always perfectly managed by our sport officers and you can rely on us. We organise baseball tours in the region of Paris, Normandy, West of France, South of France etc… and provide foreign baseball/softball teams with everything they need over here. If you come with youth teams, supporters and adults can relax watching the games and do not need to worry about the arrangements ! Wherever your baseball club come from, take the chance to play French sides here in France in a good atmosphere and enjoy a great week-end or week playing this fabulous with the boys/girls! Some baseball tournaments are also organized during the Spring and the Autumn, get in touch with us to learn more about them and register your team. 5 days / 4 nights in Paris, 2-3star-hotels with breakfast, return coach transfers from/to the airport, 2 baseball games with local/regional baseball teams in France, return coach transport, assistance, sightseeing….. A full baseball package can be designed for your team. Get in touch with us and send your your baseball enquiry !